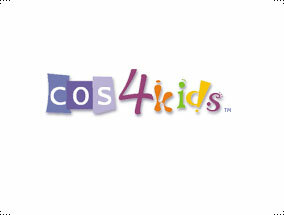 COS4Kids is a personal project of Laurie Andersons. The concept was founded based on an ideal of building a stronger community through education and involvement. This online informational sharing and involvement resource will soon be available to better inform and serve the community. the block like treatment of COS (Colorado Springs) was used to represent a diverse city scape, while the 4Kids was meant to be just that, fun!